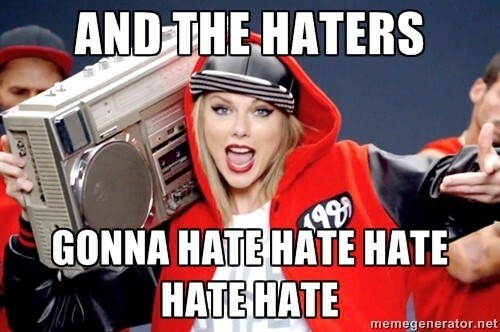 On Friday, I posted about Mean Girls. Today, it’s about a single mean girl, whose comment spurred a runner to victory more than a decade later. 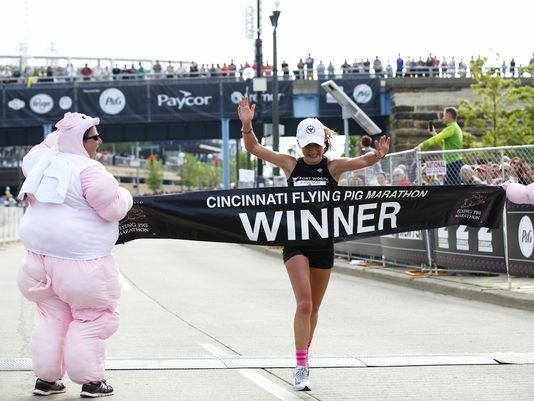 25-year-old Caitlin Keen won the female division of the 2018 Flying Pig Marathon yesterday. Caitlin got pretty emotional talking about breaking the tape for the first time, and her overall running journey. A record number of people (43,000 plus) took part in this year’s Flying Pig events. Participants included Mrs. Dubbatrubba and her friends, who finished the half-marathon. 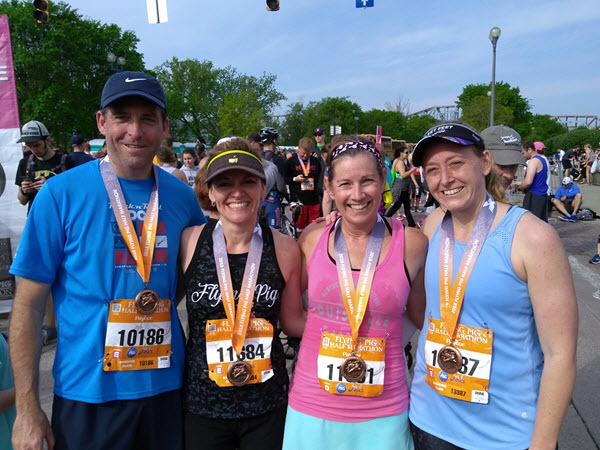 The races (plural now – marathon, half marathon, 10K, kids run, etc.) raise more than a million dollars for local charities each year. Not bad for a race that started with a small group of local runners scribbling notes on a cocktail napkin. Sometimes all it takes is a dream, and then following through, step by step. This entry was posted in Deep Thoughts, Pop Culture, Sports by Damian. Bookmark the permalink.